Yesterday my designer friend and I were talking about lights that cast cool shadows. I was telling her I really want one for my entry, so when people come over at night it's like "surprise!" as soon as they walk in. Man I love that dining room! 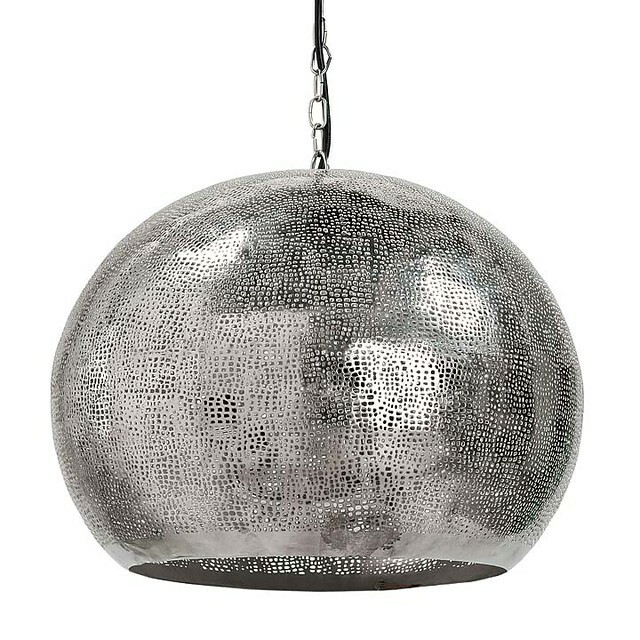 Check out this pierced dome pendant from Regina Andrew. Can you IMAGINE the shadows it would cast? It would be like a party every night. Is this one cool or what? And it's only $150! 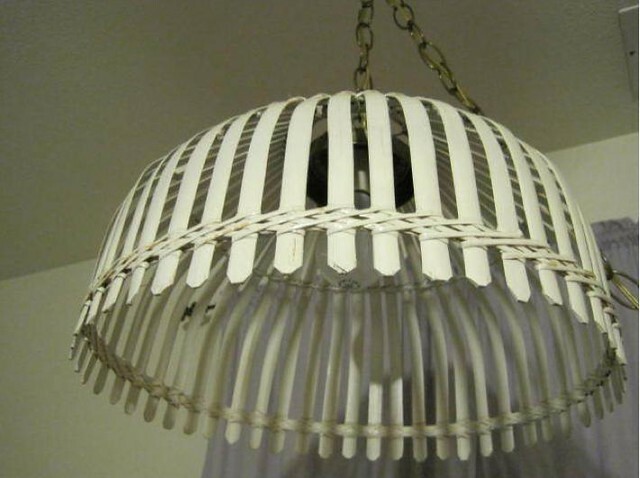 This one is WICKER and would fan-freaking-tastic in a beach house. I have the Moravian star pendant from Ballards in my foyer and I love the way it looks at night. It's not a great deal of light, so that would be my only warning. But, it still makes me smile every time I see it. I have a morovian star pendant that I got in Mexico and LOVE it! Actually if you really want one for your home, you should take a vacation to San Miguel de Allende Mexico (an amazing colonial town) and pick one up for yourself for only about $25. Vacation & lighting all in one! I have a Moravian pendant in my entry, and I always gaze at the pretty shadow when I walk by it at night!!! i love the first one -- i have the morovian light in my son's room and he loves it! 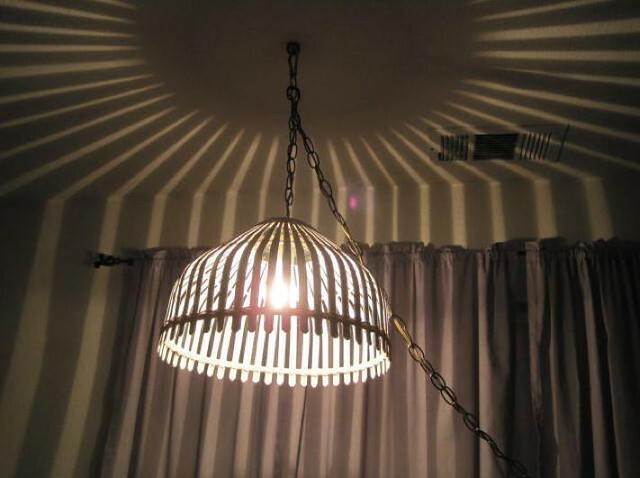 I have a vintage pagoda chandelier and my husband just said the other night, "wow, that chandelier casts such a cool shadow on the ceiling!" It is something fun to look at for sure. I loved sevearl of those lights especially the one from Regina Andr3ew! I also posted about some similar lighting if you'd like to see! http://bjdhausdesign.blogspot.com/2011/02/zenza.html Love your blog - I'll be following! I just found your site today, and love it. I'm moving from one apartment to the next, and have been looking for some inspiration to decorate my new place. I love that last piece of lighting. It looks so fun and feminine, although I wonder how much light it'll give ... perhaps as a piece in an office or bedroom? Thanks for sharing these pieces. We have this wicker light from IKEA http://www.ikea.com/us/en/catalog/products/50115555 over our eating area table and I always had an opaque lightbulb in it. Then I changed it to a clear bulb and now it makes a really pretty pattern on the ceiling! So fun! That Lonny light is beautiful, I've been itching to replace my foyer light too. Great pendants! Love the last one, so unique! what a gorgeous selection of lights! i am totally with you on lights that cast amazing shadows. i used an antique mirrored moravian star in my last house, and LOVED the soft shadows it cast. that regina andrews light is GORGeous!